Description: The breadth and depth of these essays are a fitting testimony to the personal and professional interests of James W. Voelz. They span a spectrum from Greek language and lexicography to hermeneutics and translation theory to interpretation and theology of both biblical testaments to contemporary issues in church and world. Leading scholars with a diversity of interests and in diverse contexts offer a buffet of both general and focused issues from detailed translation theory and method to the World Series as a template for theological reflection, from creeds and confessions to cultural and social hermeneutics. Readers will find much that will strengthen and challenge their study of theology and the biblical text. 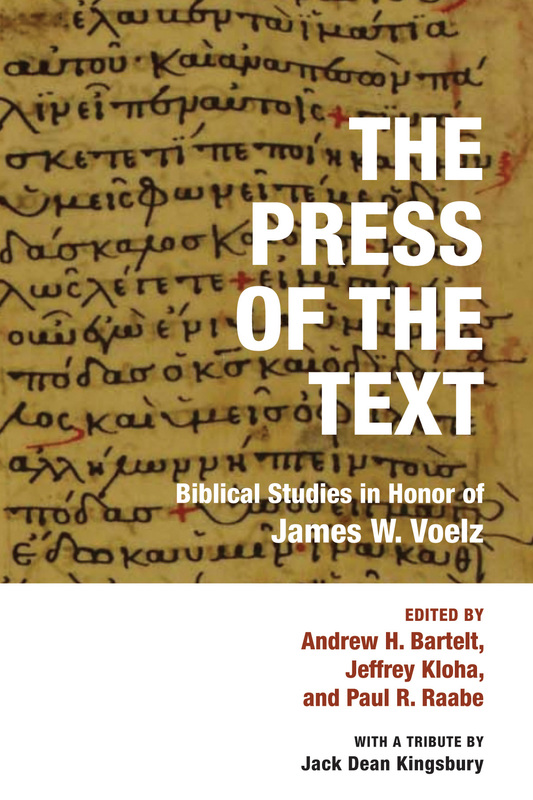 Citation: Laurent Pinchard, review of Andrew H. Bartelt, Jeffrey Kloha, and Paul R. Raabe, eds., The Press of the Text: Biblical Studies in Honor of James W. Voelz, Review of Biblical Literature [http://www.bookreviews.org] (2019).